Reducing healthcare’s reliance on potentially addictive opioid pain relievers has been one of the pillars of federal efforts to reverse the opioid crisis. Among the largest prescribers of opioids are dentists, since many dental procedures such as extractions and other types of oral surgery produce acute pain that requires treatment in the days following. 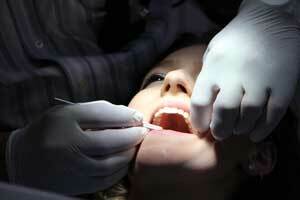 But the dental profession has made significant progress in reducing opioid prescribing. Two decades ago, when the opioid crisis was just starting, dentists accounted for 15.5 percent of all immediate-release opioid prescriptions; by 2012, they only wrote 6.4 percent of such prescriptions. Still, those in the oral health professions can play a key role in further improving the treatment of acute pain and making it safer. In March of this year, the American Dental Association (ADA) released a new policy on opioids, supporting limits on dosage and duration of opioid prescriptions and mandatory continuing education on their use, as well as recommending that dentists make use of their regional prescription drug monitoring program (PDMP). This policy is an important step toward protecting patients and their families from the potential harms of opioids. Following a meeting between representatives of NIDA, the National Institute of Dental and Craniofacial Research (NIDCR), and the ADA, NIDCR director Martha Somerman and I wrote an editorial in this month’s issue of the Journal of the American Dental Association about how a scientific partnership between NIH and oral health practitioners can continue to alleviate the opioid overdose epidemic. Increased knowledge of opioid prescribing practices among dentists as well as among emergency department physicians when managing acute dental pain is an important research priority. While dentists have reduced their opioid prescribing, recent studies suggest the same is not true of emergency department providers when patients have dental pain. A study of Medicaid recipients showed that physicians in the ER prescribed opioids for dental pain five times more often than dentists in their own practices, and nurse practitioners in the ER prescribed opioids three times as often. Understanding the ways opioids are prescribed and the decisions underlying opioid prescribing can inform new clinical guidelines and policies to reduce the risks of opioid misuse. NIDCR is also funding research in “de-implementation” of common prescribing practices that are not supported by evidence or that may be harmful. Dentists could play a particularly important role in small towns and rural areas, where the opioid crisis has had a particularly devastating impact. Besides reducing their prescribing of opioids, dentists in these settings can learn to screen for opioid misuse and opioid use disorders and refer patients to treatment. To this end, NIDCR plans to fund research studies of interventions in rural communities. This spring, NIH announced its Helping End Addiction Long-term (HEAL) Initiative, which among other priorities is investing funds toward research into improved pain management and better education of health practitioners in the science of pain and addiction. The partnership with ADA will complement these efforts. NIDA’s NIDAMED portal includes links for providers to clinical guidelines and other resources, including the new ADA opioid policy. Partnerships between researchers and practitioners are increasingly important as we face crises of the scale of the current opioid overdose epidemic. Clinicians need to be guided by the most up-to-date science in their decision making, and the experiences of clinicians can inform scientific research in turn. NIH’s partnership with ADA may serve as a model for partnerships with other clinical professions going forward. Dental work, the ONE SURE verifiable need for pain meds! People with stitches in their mouths are in horrible pain. THIS is NOT where the abuse is happening. Dentists give only a 3-5 day supply of pain meds for people who are in LEGIT PAIN. 24 Percocets that are prescribed by a dentist are not the problem. The pain clinics that give 260 pills to one person all at once, without verification of injury, are the source of this "epidemic". Not dentists, helping their patients seeking relief from suffering. You can tell by the comments you get how much faith Americans have in your "system". YOUR system and YOUR actions have led to an epidemic, and epidemic that COULD be greatly mitigated by the plant, IBOGAINE, which you have chose to ignore! Dentists who prescribe opioids to kids (yes, even 24 pills) contribute to the opioid epidemic because this initial exposure is the first introduction to opium in that population. What happens when Scotty, 14 year old suffering from immense dental related pain, completes his 1 opioid prescription of 24 pills for 12 days (2 pills per day)? He's going to want.. you guess it.. MORE! NIDA. "NIH Partners with the Dental Community to Help Curb the Opioid Crisis." National Institute on Drug Abuse, 25 Jul. 2018, https://www.drugabuse.gov/about-nida/noras-blog/2018/07/nih-partners-dental-community-to-help-curb-opioid-crisis. NIDA. NIH Partners with the Dental Community to Help Curb the Opioid Crisis. National Institute on Drug Abuse website. https://www.drugabuse.gov/about-nida/noras-blog/2018/07/nih-partners-dental-community-to-help-curb-opioid-crisis. July 25, 2018.